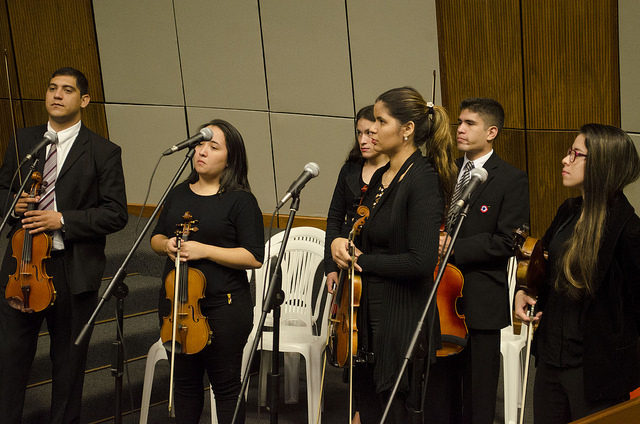 Distinguished executives from GPW Paraguay and National Congress were welcomed by cultural music performances, including the national anthem presented by the Chamber Orchestra of the National Police, before speakers contextualized the theme for the assembly. 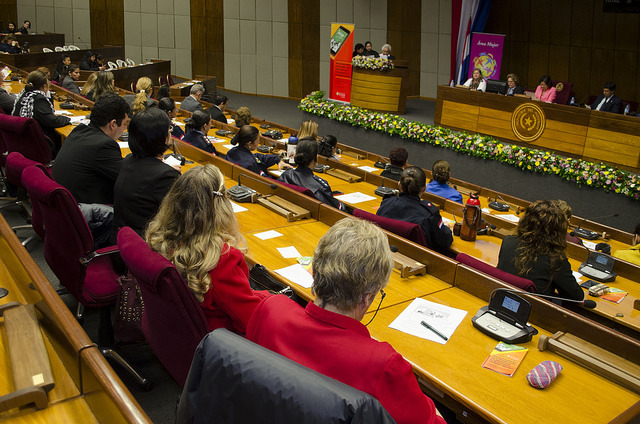 By promoting awareness and a deeper understanding of the social, economic and demographic processes that affect the family, the forum invited participants to contribute to a dialogue exploring the family as the most fundamental unit supporting society. It is in the family where every human being experiences their first relationships and an environment full of continuous stimuli. Speakers highlighted the growing impact of technology, the Internet and social networks on constructing “social reality.” Today, information and popular culture travels at the speed of the click of a button, affecting adolescent behavior and emotional development and resulting in a need for greater awareness of both the positive and negative consequences of new technology. New technology is bringing our world closer as a global community. Utilizing the benefits of the “new age” is an important and beneficial component of spreading positive models of family harmony and collaboration. However, this can only be realized with an awareness of the value of raising healthy families that can contribute to the greater good of society. Forum speakers included Victorina Espínola de Ruiz Díaz, Advisor to the Constitutional Affairs Committee and Directorate of Culture of the Honorable Chamber of Senators; GPW International Director for Latin America, Cristina de Field; Susana González de Benítez Codas from the Group Curriculum Research Chair in Higher Education; José Antonio Montiel and Juan Pedro González Mateo.